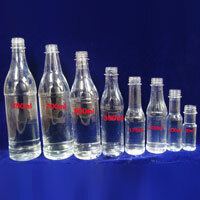 Prapancha Pet is a promient Manufacturer and Supplier of a wide range of Pet Bottles which includes, Mineral Water PET Bottles, Cosmetics PET Bottles, Food Products PET Bottles, Soft Drinks PET Bottles, Pharma PET Bottles, Pesticides PET Bottles, Edible Oil PET Bottles and Solvent PET Bottles.Our products are renowned for durability, better performance, dimensional accuracy and abrasion resistance. 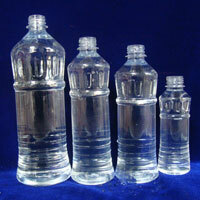 We are backed by a professional team, that strives hard to deliver top-quality Pet Bottles at reasonable price. 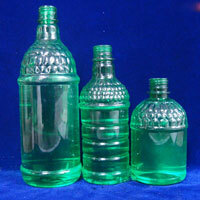 We can also manufacture the Pet Bottles as per the specification of the customer. We use advanced machinery and scientific instruments to enhance the quality of the Pet Bottles manufactured by us. With the help of our rich experience, we are able to analyze the clients needs easily and design our products on its basis. Our market is primarily present in Indian subcontinent. Our aim is to deliver customer value products and attain higher customer satisfaction levels.